OK, lilies aren't in season but, for the moment, I'm tired of painting autumn leaves. 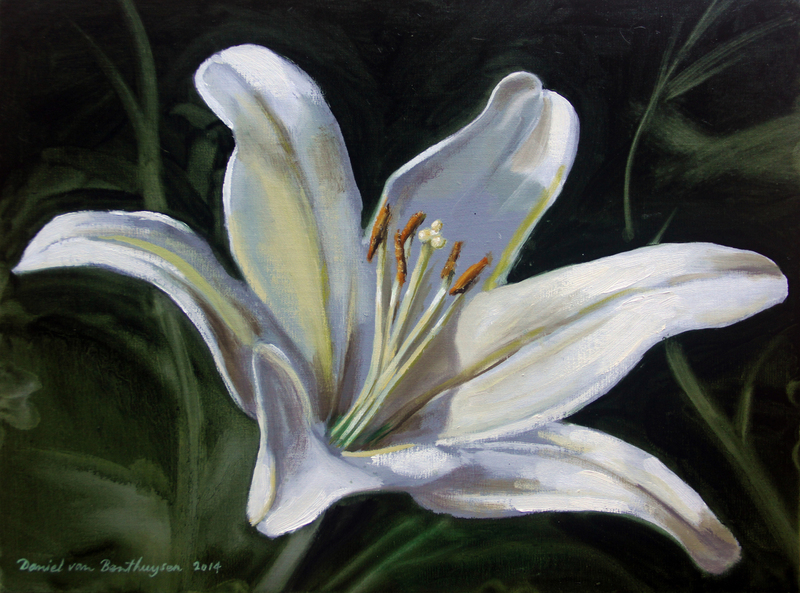 So here's a rendering of one of our lilies from late last spring or early summer. I was smart enough to get some photos at the time and this paitning was extracted from one of those photos. I am lucky that Renee likes to keep our yard flowering with one thing or another for as long as possible during the warmer months. Even though we'll be stepping into November later this week we still have begonias blooming like crazy by our front door.